Set in various locations, including Cornwall and London during World War II, "The Shell Seekers" by Rosamunde Pilcher is the story of a Bohemian family whose later generations disappoint to say the least. Who can blame Penelope for struggling with her overly materialistic and selfish children? They even want to sell her father's most personal painting, "The Shell Seekers," that was his special gift to his beloved daughter! If you enjoy Rosamunde Pilcher's writing, sit down with this book and you'll be transported into this family and their struggles. It's not all happy, but it's definitely worthwhile! "The Shell Seekers" tells the story of Penelope Keeling and her family as they struggle through World War II, their loves, tragedies, and the challenges of material needs. In the end, Penelope must choose between her children who disappoint her and what she values most. A long book, but satisfying, it's worth reading to the end. If you love Cornwall and are fascinated by people and relationships, this is the book for you! 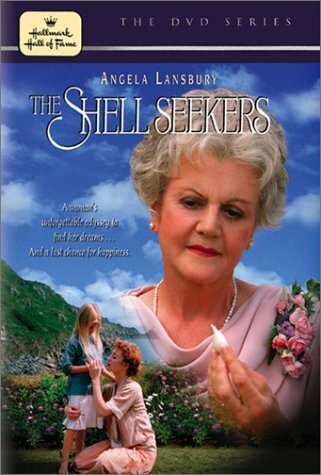 Many of the important scenes in "The Shell Seekers" take place in Cornwall, England, in a small village named Porthkerris. Although Porthkerris exists, it seems that the story would more likely have taken place in nearby St. Ives. 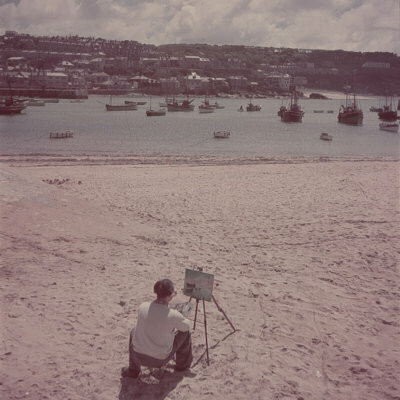 St. Ives was an artists' colony and later became a popular tourist town, just as the book's version of Porthkerris did. Other locations that feature significantly include London, Ibiza, the Cotswolds, and, even though there's not much action there, Scotland! The main character is Penelope Keeling, daughter of an artist and his younger French wife, who was like a sister to her. The family lived a Bohemian lifestyle, between London, Paris, and Cornwall. In contemporary times, Penelope at age 64 has suffered a heart attack, and her story is told in flashback fashion, through the eyes of her children and other characters. Although we can have some sympathy with her children, it is Penelope who wins our hearts and we long for her to achieve the happiness she deserves. Penelope's oldest child, Nancy was born pretty but "let herself go" after marriage. Somehow, for Nancy, "the most straightforward or innocent occupation was doomed to become, inevitably, fraught with tedious complication." Part of this is her own fault, but part of it (which I totally sympathize with! ), is due to the fact that she is wife, mother to two school age children, and owner of several dogs and horses, and she finds herself responsible for organizing the activities of her household. Basically, though, she's become an unattractive person with a boring husband and disagreeable kids. Olivia is the younger daughter, quite different from Nancy. She is a career woman, defiantly single even though she meets Cosmo, the love of her life, while visiting Ibiza. She spends a glorious year with him before returning to London and her "real life." Olivia is the daughter Penelope trusts the most. And it is Antonia, Cosmo's daughter, together with the gardener (he's the one from Scotland!) who become the greatest support for Penelope after her heart attack. Penelope's son Noel takes after his father, the man Penelope married following a wartime romance, and regretted immediately. Handsome and selfish, Noel has little time for Penelope's needs and we delight when his devious efforts fail. "I imagined her storming back to George in floods of unbecoming tears, unleashing onto him all the iniquities of her feckless mother. And George, taking refuge The Times, saying nothing. He's always been the most uncommunicative of men. Why Nancy chose to marry him in the first place is beyond all comprehension. No wonder their children are so miserably unattractive." "Besides, it didn't really matter being out of date; glossy and shiny, it would still be a marvelous treat." "Penelope slowly cleared the table, stacked the dishwasher, put out the milk bottles, laid the breakfast." There's something lovely about people still putting out the milk bottles for a milkman to give them fresh milk in the morning - reminds me of my days in Scotland! 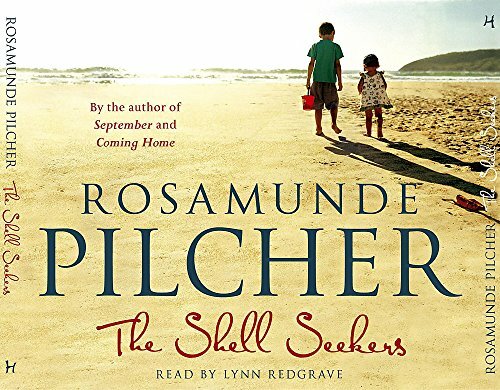 Rosamunde Pilcher also does an excellent job of weaving the effects of war into the quiet lives of her characters. One example is the case of unmarried Aunt Ethel. "Lawrence Stern's only and very much younger sister, she had decided, at the end of the first world war, that at thirty-three, and with the flower of British manhood cruelly depleted by the slaughter of the French battlefields, she had little option but to accept inevitable spinsterhood." "And going to her house was the greatest of treats, simply because you could never be sure what was going to happen next. Once, as they sat down to the lopsided cake she had baked for their tea, the bedroom ceiling had collapsed. Another time, they had lit a bonfire at the end of her tiny garden, and the fence caught fire and the fire brigade, bells clanging, had to be summoned." It is clear from the outset that this story is about family, and the importance of family relationships. But pitted against this cornerstone of the main character's world is the fact that her children are materialistic and selfish. Should Penelope unconditionally support her children, her blood lineage, despite their failings, or should she honor her father and his legacy, expressed in his paintings and the art gallery he founded? And to compound this dilemma, is family defined only by blood lineage or by true love? Rosamunde Pilcher does an excellent job of developing the dilemma faced by her character, and I find her resolution to be entirely satisfactory. 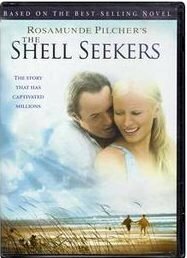 Movie of "The Shell Seekers"
To be honest, I didn't like this movie too much. I love Angela Lansbury, but "Bohemian" is not the word that comes to mind when I think of her! In my opinion she'd have been a better Dolly Keeling than Penelope. And for some obscure reason, apparently approved by Rosamunde Pilcher (why, I can't imagine! ), they changed significant aspects of the plot. Still, if you haven't read the book and want to watch a heartwarming story, go for it! Another version of "The Shell Seekers" was made in 2006 as a mini-series for television, and it's wonderful! Vanessa Redgrave is absolutely how I imagined the contemporary Penelope Keeling to behave and speak. And the movie follows the plot of the book quite perfectly, no strange "happy" endings! Directed by Piers Haggard; the Cornwall scenes in this version were filmed in Cornwall, which is another plus! Vanessa Redgrave in "The Shell Seekers"
I love this version! Vanessa Redgrave is such a wonderful Penelope Keeling and Maximillian Schell is amazing as her artist father, Lawrence Stern. The rest of the cast do a pretty good job too! Here is "The Shell Seekers" beautifully read by Lynn Redgrave. 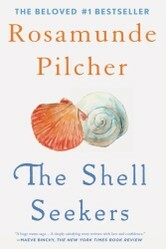 Have you read "The Shell Seekers"?